Distended stomach and How to Overcome. Belly stomach not only affects the appearance but also harmful to general health conditions. Belly stomach is dangerous due to fat accumulation. What are the dangers of a pot belly that can be caused? And how to shrink belly? Check out the explanation. Belly stomach caused fat accumulation in the abdomen. 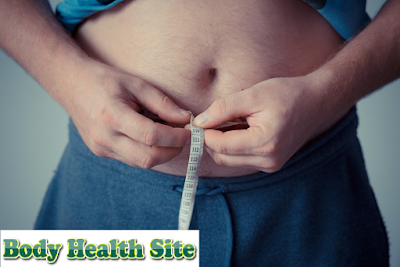 This abdominal fat consists of two kinds, namely subcutaneous fat and visceral fat. Subcutaneous fat is the fat under the skin. These fats can be pinched and visible. While visceral fat is in the organs in the body so it is not visible. This visceral fat is often associated with obesity in the stomach. In addition to being dangerous because it can increase the risk of certain diseases, such as heart disease, visceral fat is very difficult to remove. As with obesity in the body, a distended stomach arises because of food intake that exceeds the energy required for physical activity. If you eat too much, especially foods high in sugar and cholesterol and lack of exercise, you will experience fat buildup in the body, including fat in the stomach. History of obesity in the family, sleep deprivation, alcohol consumption, and high stress also affects the appearance of the distended abdomen. Old age and hormonal imbalance in menopausal women also facilitate the appearance of the distended abdomen. How is a dangerous bloated stomach? Measure your waistline to see if you have obesity. You can use a meter that is looped in your stomach. The position of the meter is parallel to the tip of the hip bone and navel. A man is said to be obese if the waist circumference exceeds 102 cm. While in women, above 89 cm. To monitor nutritional status, you can also calculate body mass index. The higher the body mass index number, the more the amount of fat in the body. For those of you who have a distended stomach because most of the fat, should be alert because this condition increases the risk of a number of dangerous diseases. Collection of fat in the body can release inflammatory compounds and hormones that can disrupt the body's metabolism. Inflammatory compounds are also called cytokines. This substance can cause inflammation in the body thus increasing the risk of heart disease, stroke, and high blood pressure. The researchers also found that cytokine compounds can cause certain cancers. Mentioned that belly fat is closely related to colon cancer, esophageal cancer, and pancreatic cancer. The distended stomach hazard is also associated with increased production of bad cholesterol and a decrease in the production of good cholesterol. That's why potbelly can increase the risk of high cholesterol disease. In addition, excess fat also causes insulin to be less effective in controlling blood sugar thus increasing the risk of diabetes. In addition, excess fat can also cause respiratory problems, even increasing the risk of premature death due to cardiovascular disease. As has been mentioned before, visceral fat is a fat that plays a lot in the emergence of the distended abdomen. In contrast to subcutaneous fat that is located close to the skin, this fat is located around the internal organs, making it difficult to remove. However, you can do some ways to shrink the stomach. You can tighten your abdominal muscles with sit-ups or other movements, but by just doing those exercises will not get rid of a pot belly significantly. Do a combination diet and exercise strategy aimed at reducing weight and reducing total body fat. Although shrink belly is not an easy matter, you still need to try to overcome the distended stomach. Here are some ways that can be done. To reduce fat in the abdomen, you need to reduce the caloric intake in the tub Calorie consumption at least minus 500-1000 calories per day of the total requirement. Reduce carbohydrates and start eating lots of vegetables, fruits, low-fat dairy products, whole grain products, and lean protein. Lack of activity can make you difficult to shrink belly. Start getting used to exercise, with a combination of weight training and If you are not used to doing strenuous exercise, start with a routine walk or yoga. Besides not good for health, alcoholic beverages can also cause your stomach to become distended. Stress can also trigger a distended stomach. If you have problems, try meditating, relaxation, and chat with people closest to you. To reduce the size of the stomach begin to lead a healthy life by keeping your food intake, lifestyle changes, and diligent exercise to avoid dangerous belly. You can consult a doctor of nutrition to determine how to reduce excess fat and maintain the ideal body weight that is right for you. 0 Response to "Distended stomach and How to Overcome"